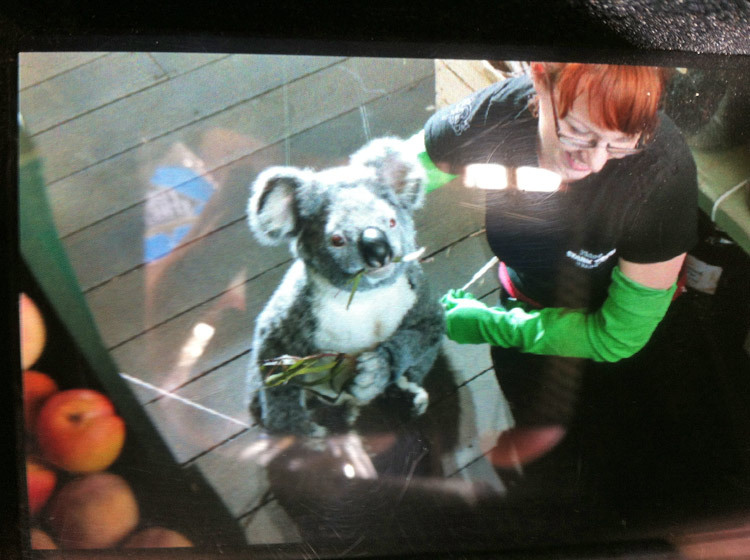 This is the puppeteer moving the koala puppet. Then we painted her out in post with the computer. We also added some digital blinking to the koala, not sure if they really blink in real life but that definitely helped bring the animal to life.